Thursday 28th June saw 52 schools from across Cambridgeshire and Peterborough compete in the School Games Level 3 Summer Festival for 2017/18. An exciting competition ensued as children aged 7 to 14 battled it out to become county champions. The Opening Ceremony took place at One Leisure St Ives Outdoor Centre; it was a bright and colourful affair with dance performances from Comberton Village College and Living Sport staff members Ashlea Smith and Jayne Thacker. Following the Opening Ceremony schools dispersed to the respective venues of their events. Secondary Adapted Multi-Sports took place at One Leisure St Ives Indoor; Inclusive Archery, Athletics (Small and Large Schools), Change for Life Village, Cricket (Adapted and Primary Rapid Fire), Netball and Rounders were held at One Leisure St Ives Outdoor and the Tennis competition took over Huntingdon Tennis Centre. Each venue came alive with the sound of cheering and camaraderie as the schools battled it out to become champions. Each school represented one of the five Partnership areas – Cambridge (CSSP), Hunts (HSSP), Peterborough, South Cambs (SCSSP) and Witchford (WSSP). We are very proud of all the South Cambs schools who represented the partnership. 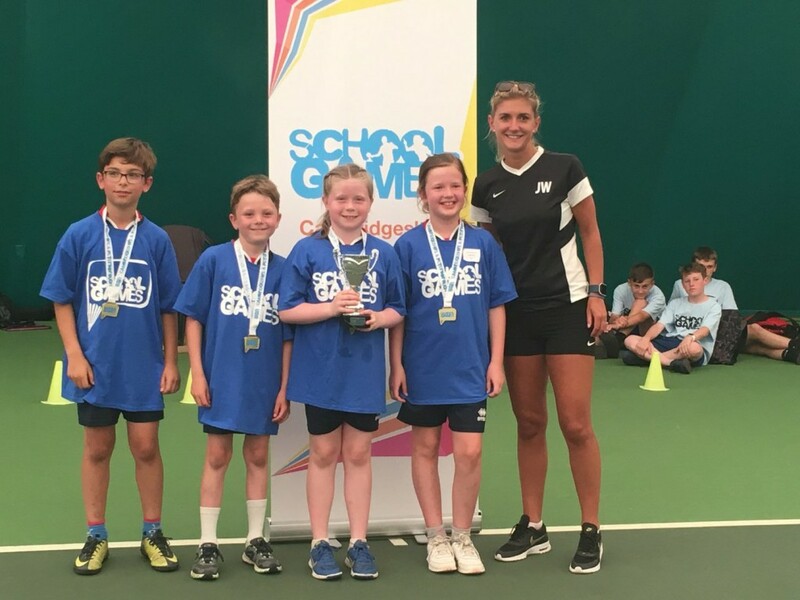 Harston and Newton along with Swavesey Primary school once again retained their respective 1st and 2nd places from last year in the tennis competition. Harston and Newton were on winning form on the day, also coming first in the small schools athletics competition with Coton finishing third and Bassingbourn finishing third in the big schools competition. A representative team from the South Cambs Partnership schools finished 1st in the Adapted Multi-Sport Plus competition, 2 places higher than last year. Impington Village College were successful, finishing first in the KS3 Archery INCLUSIVE competition and second in the Year 7 (girls) Netball. Each team that takes part in this event, regardless of the final results, should feel very proud at having qualified for this level 3 competition and we hope each competitor enjoyed the experience of competing at this level. 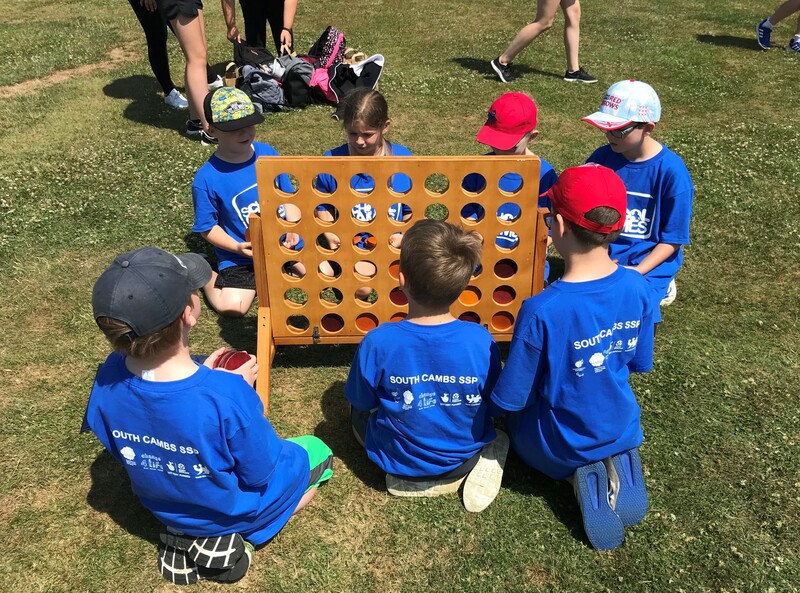 The festival was organised by Living Sport, the County Sports Partnership, on behalf of the Local Organising Committee for Cambridgeshire and Peterborough. The aim of the Games is to create a positive and rewarding sporting experience for all involved.